It’s the maiden voyage of Baseball Time in Texas with Jamie Kelly and Bobby Belt! We kick off the show by telling you a little bit about our love for baseball and, specifically, the Texas Rangers! In segment 2 we try our best to sort out the Left Field situation and who will be the 5th starter out of Spring Training. Greatness is upon us in segment 3 as we welcome longtime Rangers broadcaster Eric Nadel to discuss Rangers baseball, Adam LaRoche, and music. And in the final segment, we give away 2 Opening Day tickets between the Rangers and the Mariners on April 4th! 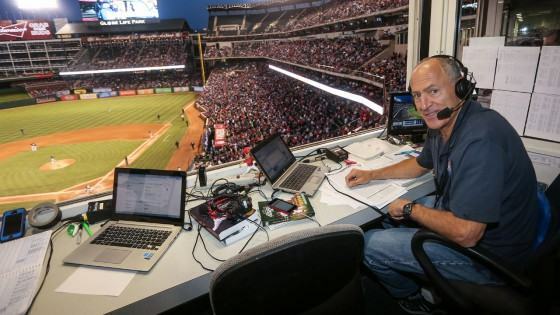 Continue reading Baseball Time In Texas Ep 1: Eric Nadel Interview and Much Ado About Left Field at Rangers Outfield.